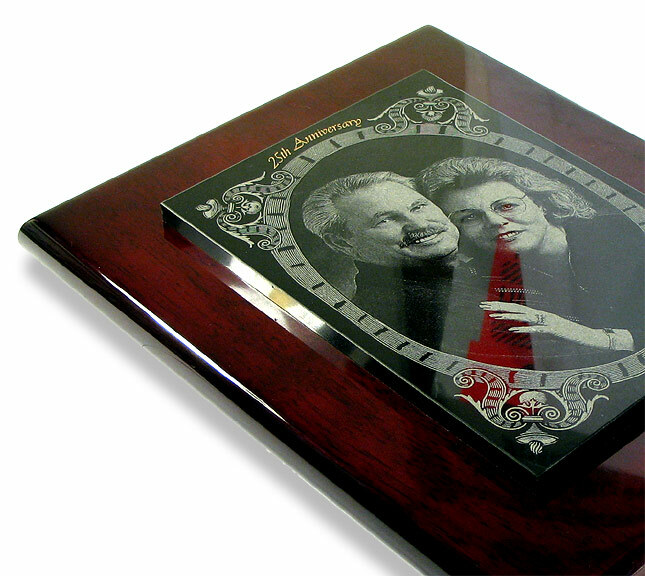 Highly polished Black Granite mounted to an elegant Rosewood or Ebony Piano Finish plaque. These are truly high quality, high end gifts. 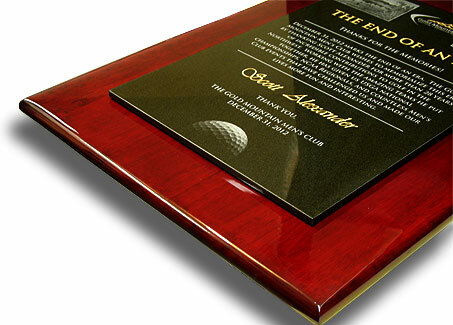 Great for awards or dedications. 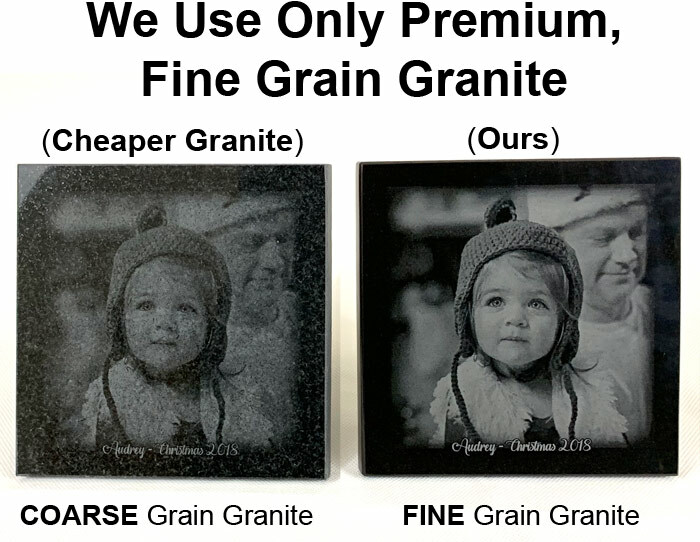 SEE WHY WE USE ONLY PREMIUM GRANITE. 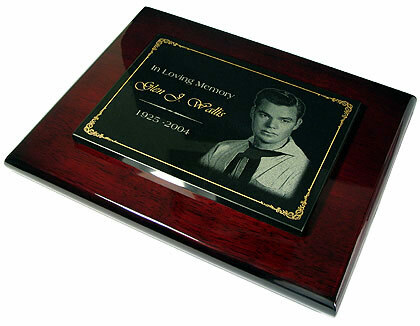 * 3/8 inch thick, premium, high gloss Black Granite is used for engraving which has a mirror finish. 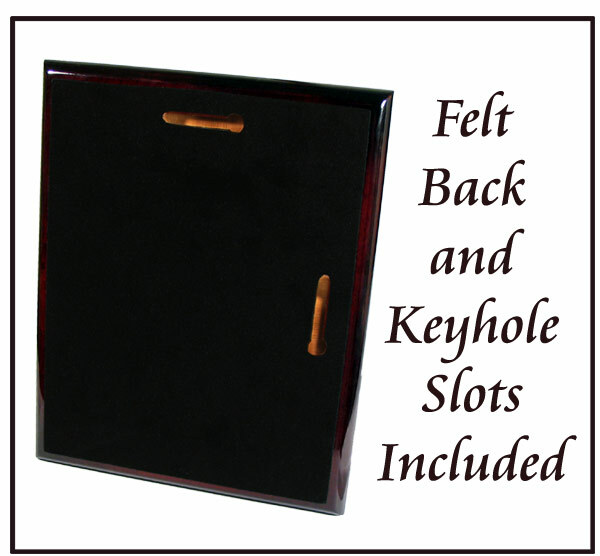 Attached Rosewood piano finish plaques are high gloss and come with black felt and keyhole slots on the back for wall hanging. 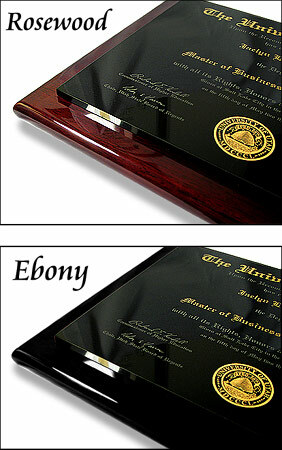 * Included with each order is photo dust & scratch removal, contrast adjustments, sizing and proof image. Image background removal option also available. Border: ( Optional ) Select border in above drop down box. 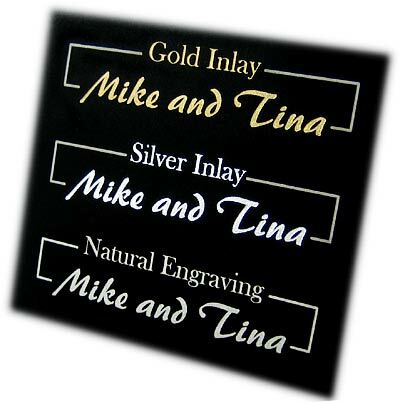 Inlay: Gold or Silver INLAY into text "Please specify which words in special instructions box below"
Display: Add an (Optional) Easel to display your plaque. 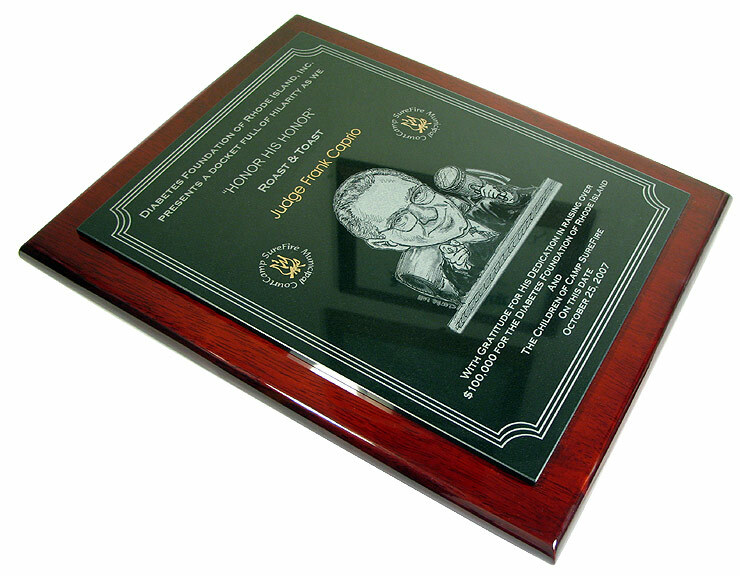 Note: Keyhole slots are already included in the price of the plaque. Background: (Optional) WATERMARK image behind your photo or text. (Add $11.95) Watermark images are engraved faded images added behind your photo or text. Click on the photo to view our selection. Please specify background placement in special instructions.